Simple and Easy... Leptin Weight Loss Dried Plum! The best way is to eat the organic diet plum as your dessert every night after dinner. These natural organic plum is manufactured without any chemicals and full of nutrition. They taste exactly like normal dried plums. They help create bowel movement, and perform internal cleansing by excreting toxins and feces. Therefore, you may find yourself visiting the toilet more often after the plums become part of your daily diet. Internal cleansing can lead to external beauty such as a slim body and smooth skin. Maintains a healthy digestion system and keeps optimal blood pressure level. Helps you receive the correct amount of good and bad bacteria to your body. Also promotes mineral and vitamin absorption and stimulates the immune system. Considered a natural herb with wonderful curative characteristics, as healing bruises, reduces muscle spasm and stops bleeding. Lotus leaves eases fever and assists the digestion system. Rich in antioxidant and fiber and helps maintain a healthy digestion system and lowers the risk of colon cancer. Also helps lower cholesterol and blood sugar level. Aged Tea is a great fat burning weight loss product. It is known for its ability to assist in the digestion of fatty foods, increases metabolism and reduces cholesterol levels. Puerh tea absorbs the cholesterol until it reaches the digestive system. This means that the body does not absorb the fat even though the food was eaten. Puerh tea outperforms green tea in this case. If You have Got a Couple of Minutes Each Evening. Then You Can be Helped to Get Slimmer While Enjoying Nothing More Than a Piece of Fruit. 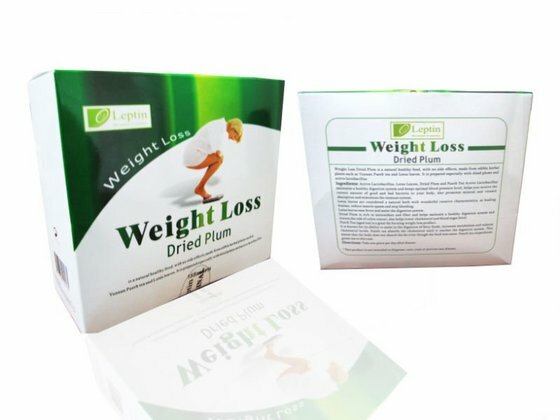 What is Leptin Weight Loss Dried Plum and How Does it Work? This revolutionary plum is natures gift for fat loss for men and and women !! Leptin Weight Loss Dried Plum is made from the effective ingredients extracted from edible herbal plants such a Yunnan Puerh tea, lotus leaves, through ultra-low-temperature extraction, then by scientific combination, inoculate the special microcapsule active lactobacillus, taking secreted-prepared dried plums as carriers, and then carry on complicated process to produce this kind of natural healthy food without any chemical agents. Weight management does not require diet deliberately, and it has no side effects on human bodies. Meanwhile, it will not restrict your appetite; not stimulate your nerve centre, without addiction, anorexia, fatigue, and reoccurrence! You simply enjoy one piece of Leptin Weight Loss Plum each evening. That’s it! It couldn’t be any easier! Leptin Weight Loss Plum may assist weight loss, in conjunction with a properly designed diet and exercise plan, by promoting the conversion of fat into energy. Which means it can easily fit into your daily schedule, substituting for your evening dessert for a piece of dried plum. Just Eat in Moderation, Eat Healthy and Do Moderate Exercise! But if you are a particular unhealthy eater expect an extremely low weight loss, however if you eat healthy and exercise moderately you can expect to get good results and if you do indulge a little, you know that dried plum is working hard for you! 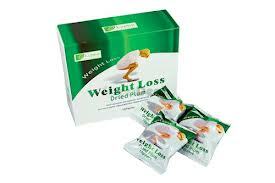 Leptin Weight Loss Dried Plum, it will not restrict your appetite! Not stimulate your nerve centre, without addiction, fatigue or reoccurrence! -. It is not a diet pill or weight loss pill, it is a natural organic diet food/diet fruit. -. 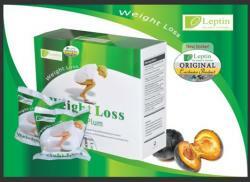 Just enjoy this Leptin Weight Loss Dried Plum after your dinner, as your dessert every night. And you will visit the toilet in the morning, your fat, undischarged feces and toxins will come out. -. Organic plum provides proper nutrition for our good health, it is full with vitamins and minerals like potassium, Vitamin A, magnesium, iron and fibre to help us stay healthy, balanced and energized. -. It can improve our blood circulation by preventing platelet clotting. It is recommended to 8-10 glasses of water daily to activate natural organic ingredients for better results, for 6 days continuously then stop for 1 day. It is recommended to consume 4 plums after dinner, for the first time. Peristalsis will occur within 4-8 hours resulting in the increase of bowel activity and excretion of feces is a usual outcome. People looking at reducing their weight and body weight control due to excessive nutrition, lack of exercise, and many social activities such as overeating and drinking. Keep away from places of high temperature, humidity and direct sunlight. -. This product is not intended to diagnose, treat, cure or prevent any disease. Organic plum provides proper nutrition for our good health, it is full with vitamins and minerals like potassium, Vitamin A, magnesium, iron and fibre to help us stay healthy, balanced and energized. It can improve our blood circulation by preventing platelet clotting. Take one plum every day after dinner, as your dessert. Recommended drink minimum of 2 litres of water per day. Active Lactobacillus maintains a healthy digestion system and keeps optimal blood pressure level. Helps you receive the correct amount of good and bad bacteria to your body. Also promotes mineral and vitamin absorption and stimulates the immune system. Lotus leaves is considered a natural herb with wonderful curative characteristics, as healing bruises, reduces muscle spasm and stops bleeding. Lotus leaves eases fever and assists the digestion system. Dried Plum is rich in antioxidant and fiber and helps maintain a healthy digestion system and lowers the risk of colon cancer. Also helps lower cholesterol and blood sugar level. Puerh Tea (aged tea) is a great fat burning weight loss product. It is known for its ability to assist in the digestion of fatty foods, increases metabolism and reduces cholesterol levels. Puerh tea absorbs the cholesterol until it reaches the digestive system. This means that the body does not absorb the fat even though the food was eaten. Puerh tea outperforms green tea in this case.